Luxy Tours Sharjah - We are introducing Luxy Tours with rich cultural values and experience in tourism sector. Our exclusive and private tours designed to meet the expectations of the valued travelers. Luxy Tours is your refuge for your trip/vacation to the UAE. Specializing in a multitude of services, we offer the best experience for you to explore the lifestyle and culture of UAE. From traversing through enthralling views of deserts in Dubai to relishing a romantic Dhow Cruise dinner in Deira Creek, we can take you through an experience of your lifetime. 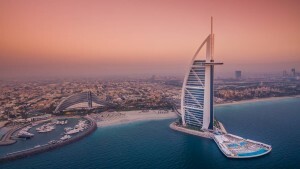 Catering to a diverse clientele, we offer to take you through your best desert safaris, shopping experiences, sightseeing tours, romantic tripsas well as business tours.Being an experienced, not to mention a native, Destination Management Company, Luxyallows you to make the most out of your time in the UAE. All you need to do is to let us know of your inclinations and we tailor out the best deals for you that take care of everything from travel to food to activities to food and program logistics. At Luxy Tours we offer a multitude of products to facilitate tourists from world over, all of which are customized according to the traveler’s needs. A glimpse of these products is as follows Follow a detailed list of all our products, services, and deals please visit the link for our website.